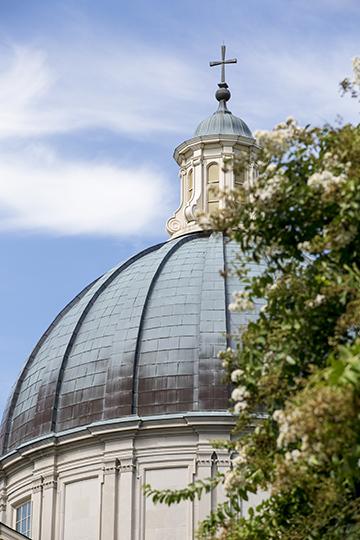 Samford University’s Beeson Divinity School’s Lay Academy of Theology is offering four new courses taught by divinity faculty during the spring semester. Gerald Bray is teaching “An Introduction to John Calvin’s Institutes of the Christian Religion” Jan. 11–15. Near the end of February, three evening courses will be offered. Sydney Park will teach “Women of the Covenant in the Old Testament” six Monday nights beginning Feb. 22. Douglas D. Webster will teach “Hebrews: The End of Religion and Faithfulness to the End” six Tuesday nights beginning Feb. 23; and Allen Ross will teach “Who do you say that I AM?” six Wednesday nights beginning Feb. 24. Each course is six weeks. Cost is $89 per course if registered before Feb. 16. After Feb. 16, the cost per course increases to $115. Each class session is 6–8 p.m. The Lay Academy of Theology offers noncredit evening classes and other study opportunities led by divinity faculty for interested laity, as well as ministers desiring continuing education.